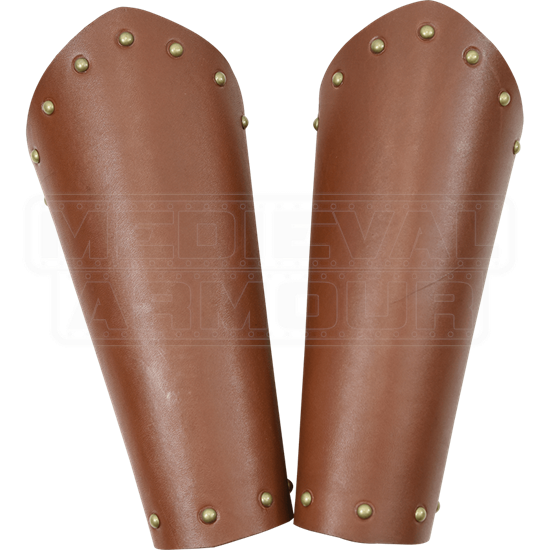 Arm bracers are essential for any warrior, and they add instant style to medieval and fantasy looks. 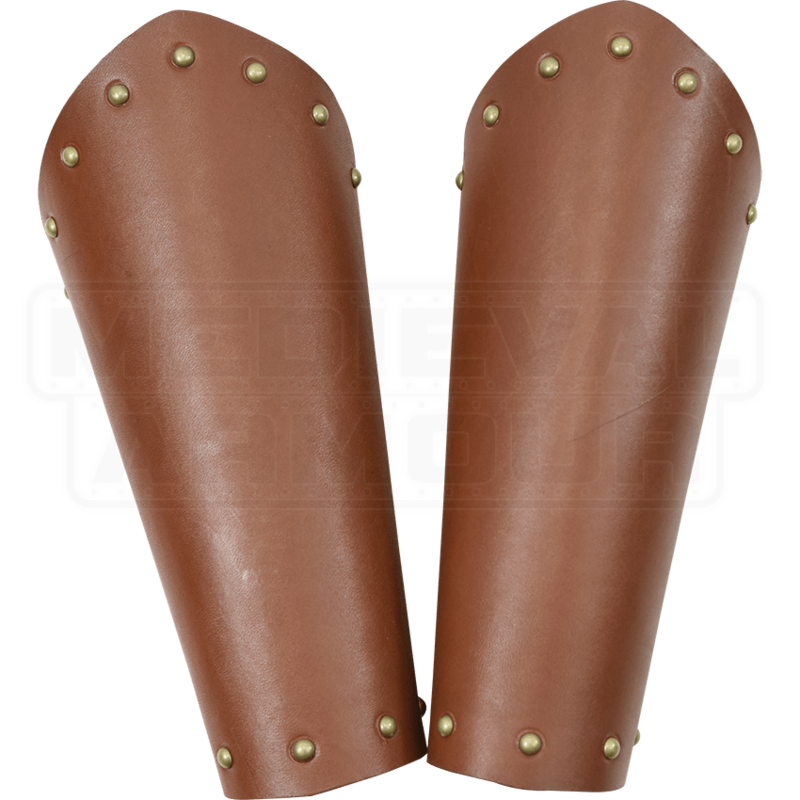 Available in a variety of colors, the Studded Leather Arm Bracers are staple additions to LARP, Ren fair, and reenactment wardrobes. These handmade leather arm bracers have domed metal studs accenting each cuff, and the elbow cuff comes to a stylish rounded point. Each is secured to the forearm with leather lacing at the back. Incredibly versatile, these leather bracers are sold in sets of two and also come in your choice of steel, brass, or antique brass hardware. The small size is ideal for children, while the large size fits most adults. Take your warrior look to the next level with these medieval leather bracers.